Growing up, I mostly heard about how weird Picasso’s paintings were. Someone would show me a picture of a bunch of shapes and colors, and then tell me it was a person. Or a building. Or whatever. It didn’t make sense to me. Paintings should just look like the thing, with a frame and matboard if you liked. As I got older, I began to understand and appreciate the ideas behind Cubism more, and I may talk about that at some point. 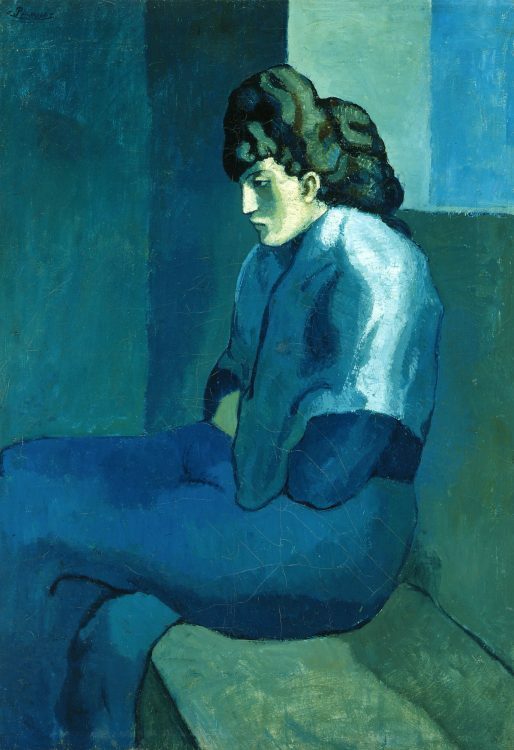 I also learned that Picasso didn’t just paint “weird shapes and colors,” but that he had many other works as well. I heard a lot about his Blue Period and decided to look into it a little more. The above piece is titled “Casagemas in His Coffin,” is usually considered the first work of the Blue Period. 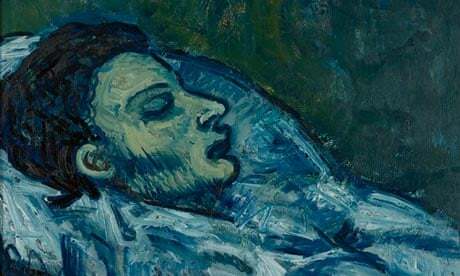 Picasso was going through a dark time in his life, partly caused by the suicide of the friend depicted in his painting above. His work reflected his mood, as is the case with artists. The most obvious effect is the use of blue, almost to the exclusion of other colors. Yet we can see from pieces like “The Tragedy” that it was not just about using this color. The subjects of his paintings became more somber as well. He often painted beggars and other solitary figures during this time, such as the “Old Man with the Guitar,” and “Melancholy Woman,” below, but even family paintings do not offer much in the way of hope. For those of us in the modern day, it is an interesting time to study. In addition to seeing how Picasso’s style changed and grew during this period, we also get a small glimpse into a places and times not usually shown by the artists of their day. 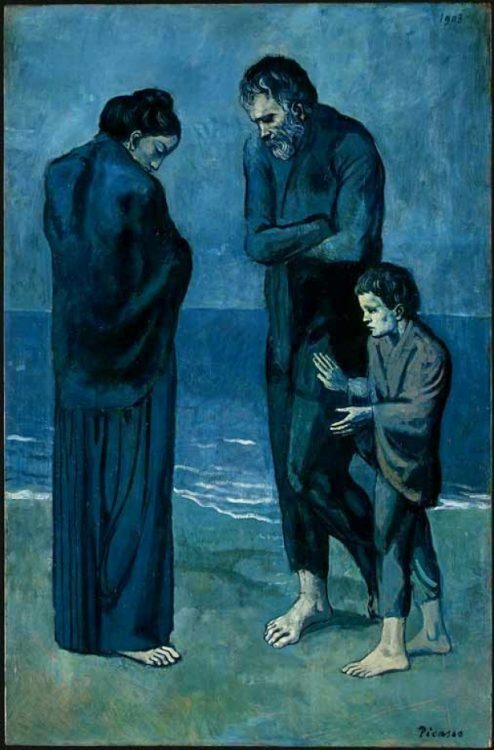 Those of us in the modern day can also easily look at the totality of Picasso’s work, and decide how to display it. With our new Multi-Opening Frames, you could show your favorite of his pieces side by side. Would you want two from the Blue Period? Or maybe offer contrast by displaying one of these next to his Cubist work? The choice is yours!